Courts in BiH spend nearly 11 million KM annually on court-appointed attorneys, most of that going to just several lawyers. On Wednesdays, the office of Sarajevo lawyer Omar Mehmedbašić looks more like a general store. Cigarette packages are spread out among his court papers, along with instant-coffee packets and a bundle of blue and white bags. The lawyer shops for gifts for his clients on this day. On Thursday mornings, his employee delivers them to the Sarajevo Central Prison. Every week. Mehmedbašić’ knows about gifts. Most of his clients have come to him through a court-appointed lawyer system in Bosnia and Herzegovina (BiH) that in the past seven years has funneled at least 76.2 million KM in taxpayer money to an elite group of men that includes him. The system is supposed to help defendants too poor to buy their own representation in court. It also helps some selected lawyers. Out of a group of 1,000 lawyers eligible to get some of this money, just 10 have earned a total of 12.75 million KM. 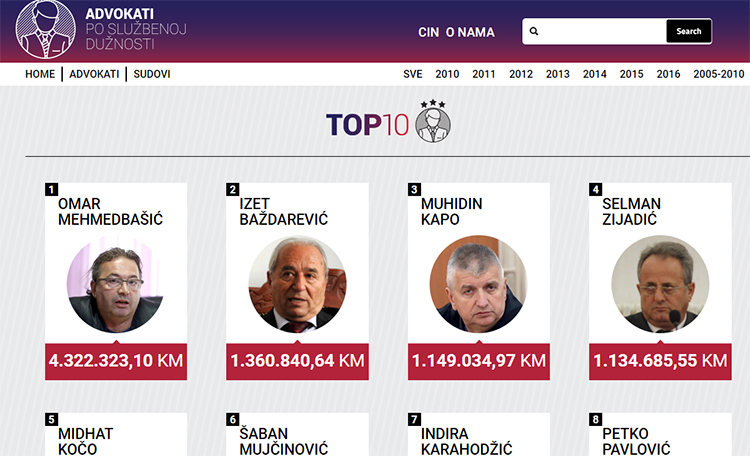 Mehmedbašić has gotten the most –4.3 million KM. That is three times more than Izet Baždarević, ranked second. Muhidin Kapo, Selman Zijadić, Midhat Kočo and Indira Karahodžić from Sarajevo, Šaban Mujčinović from Tuzla, Petko Pavlović from Zvornik, Miodrag Stojanović from Bijeljina and Veljko Ćivša from Sokolac, also earn an outsized portion of the total amount set aside for poor defendants. The lawyers say that they are clients they have already defended often choose them in subsequent court cases. “Most of my clients return to me. I have clients whom I am defending for the fifth time,” said Baždarević. By law, defendants get to select their own court-appointed lawyers. 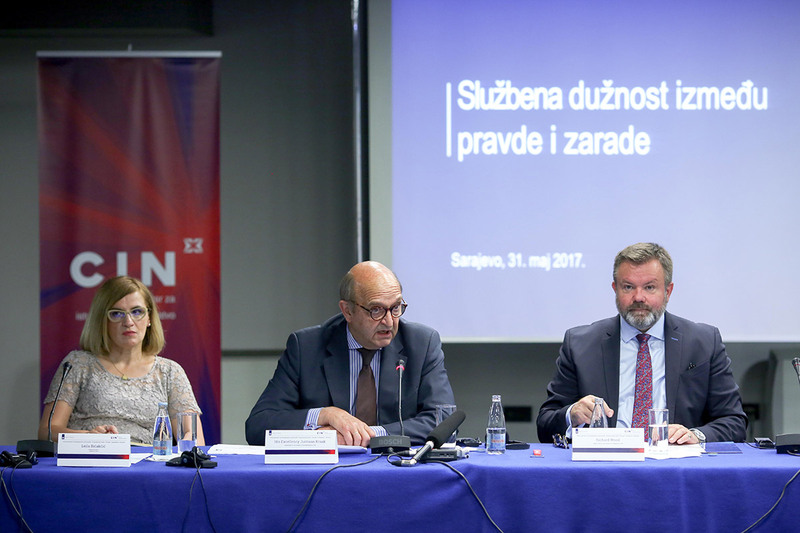 Many people reporters from the Center for Investigative Reporting in Sarajevo (CIN) talked to said that judges, prosecutors and policemen influence their choice. Even though both experts and prisoners talk about this, no one has reported any irregularities in the appointment process. From the start of 2010 to the end of 2016, 1,247 lawyers and law offices received money allocated for court-appointed attorneys from 65 courts in BiH. Mehmedbašić got way more than anyone else. Prisoners told reporters that Mehmedbašić is the “lawyer for the folks”. He’s defended nearly everyone they know, and he takes care of his clients, sending them packages of food, cigarettes and coffee. “It was in front of my doors every Thursday… I look at the right side: a blue and white bag, seven packages of Drina cigarettes and seven Nescafe 3-in-1. And to all like this. To all he had defended,” said Rusmir Sinanović, who was sentenced to 22 months at the Municipal Court for possession of mines and explosives. Mehmedbašić defended him in 2014. “One of the court police officers suggested I take lawyer Omar Mehmedbašić,“ said Sinanović. CIN found that Mehmedbašić does special favors that win his clients’ loyalty. The indictment against Krtičić details how he put a loaded gun to the head of a teen-ager in November 2014 and stole his cell phone. But Krtičić was sentenced for a theft of the cell phone by use of a threat that he would pull out a gun. Krtičić said that the teen changed his statement after Mehmedbašić paid him. “He came one day and said: so, I’m going to give him 600 KM to 700 KM to change his statements. Do you approve of that? I said I approved of anything that was to my benefit,” recalled Krtičić. “He will change his statement when his time to testify comes. That will help. He will say that there had been no gun, that he lied about it, that he was afraid.” And so it went. CIN reporters looked into Krtičić’s court case and found that the teen did not testify the same during the investigation and then in court. In his statement to prosecutors at the end of 2014, he said that Krtičić loaded a bullet into the chamber and put it against his temple. Five years later, he testified in court that Mehmedbašić’s client just took his cell. Krtičić said that they had to pay the boy’s mother because she wanted to report them after this. She denied taking money herself to CIN, but she did confirm that her son received money from a lawyer to change his statement. The two of them had known each other, she said, because Mehmedbašić had defended the teen before the court some time before. CIN reporters met with Mehmedbašić several times and talked about court-appointed defenses, but he refused to speak on the record. In December 2015, Mehmedbašić was arrested together with two clerks from the Municipal Court in Sarajevo. He was released a day later. Judiciary officials Ekrem Bezdrob and Pašaga Selimović were charged, among other things, with taking money in exchange for getting Mehmedbašić’s clients postponements of their sentences or easier alternative ways to serve them, such as wearing an electronic bracelet. In February 2017, Mehmedbašić was called as a witness to their trial. He said that he often gave gifts to the defendants so that his clients would receive electronic bracelets. The inmates serve their sentence out of the prison, with limited movement approved by the court. 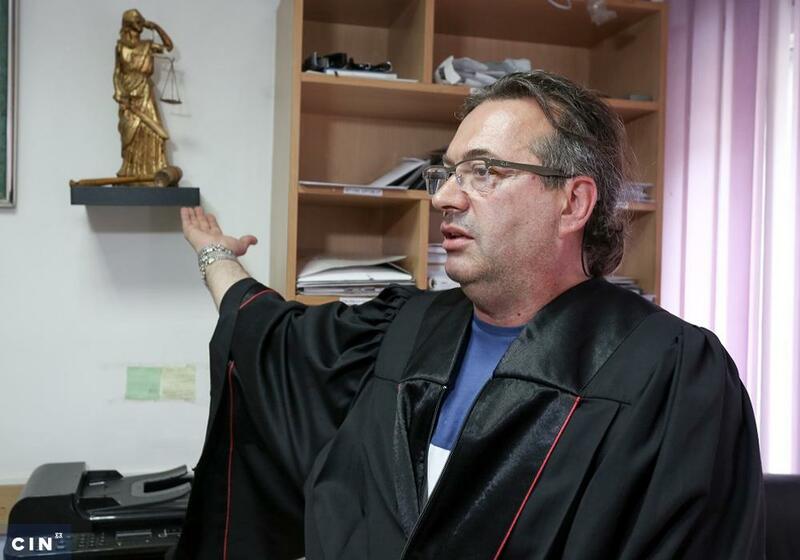 “It was 50-50, some two to three grand, what do I know…It was not the amount of money that would bother me, I did it for the sake of my clients,” Mehmedbašić told the court after Sarajevo Canton Prosecutor’s Office granted him immunity. Thus, instead of a defendant, he became a witness. 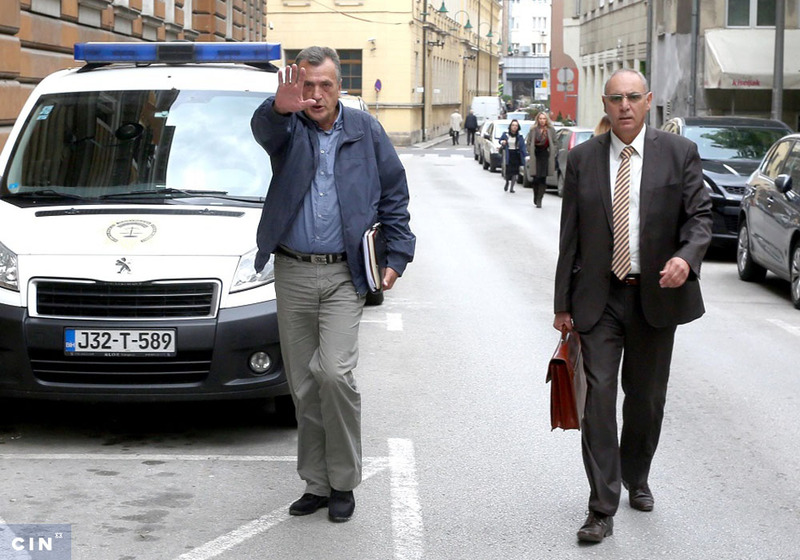 The trial for Bezdrob and Selimović is ongoing before the Municipal Court in Sarajevo. Apart from this prisoner, another 18 people CIN reporters have interviewed, including inmates, lawyers and judges, said that policemen and judiciary officials influenced the choice of court-appointed attorneys. “Where is a suspect first brought in (for questioning)? He’s not taken to a newspaper stand!”, asks Senad Kreho, an experienced lawyer and the president of the Regional Bar Chamber in Sarajevo. “He’s brought in to the Cantonal police department, to the state police”. Six years ago, in its first investigations of the issues related to court-appointed appointments, CIN pinpointed this problem. The FBiH judicial police started an internal investigation, but halted it because of lack of evidence. Representatives of the bar chambers say that they have heard of irregularities from colleagues, but have not looked into them closely because there have been no complaints. Amila-Mimica Kunosić from the FBiH Bar Chamber said that they had cooperated with the courts over the past years analyzing which lawyers have the most cases and trying to “bring into line” court-appointed defenses, but they could not do anything more than that. “The problem is at the moment when we have a case of detention. Then, when a detainee arrives, he is instructed which lawyer to take,” said Kunosić at the session of the High Judicial and Prosecutorial Council (HJPS). After CIN’s investigation six years ago, this institution announced it would review the selection of lawyers. It introduced a screening system that was supposed to keep a record whether a lawyer was chosen by the defendant or was appointed by a judge. The plan was also to monitor fees paid to lawyers. Though the system was introduced five years ago, CIN found that it was not functioning because it was not mandatory for the courts to use it and records were not complete. Records on reimbursements are still not available. After an interview with CIN, the HJPC’s vice president Ružica Jukić launched a debate related to this issue at a Council’s session. “The statistics show that something strange is taking place, because only certain lawyers get selected. They are non-stop on the top of the list,” said Jukić. By law, suspects and defendants may represent themselves or ask for a lawyer to represent them. A client must be in the company of a lawyer whenever a detention is being discussed and whenever one of the following is headed for court: juvenile; a deaf or dumb person; a suspect or defendant who is in for a long sentence. The poor also are entitled to lawyers even if they cannot afford them. The law gives the right to choose personally a lawyer who is then paid by taxpayers. Lawyers’ names are on rosters compiled by the bar associations. In the entities this work can be done by any lawyer who wants to, while for trials before the state court, a lawyer must have, among other things, seven years of experience. The rosters are forwarded to the police, prosecutors and courts. If a suspect does not chose a lawyer himself, then the court appoints one. CIN reporters talked with 87 lawyers across BiH, 19 judges and 58 inmates in Federation prisons. 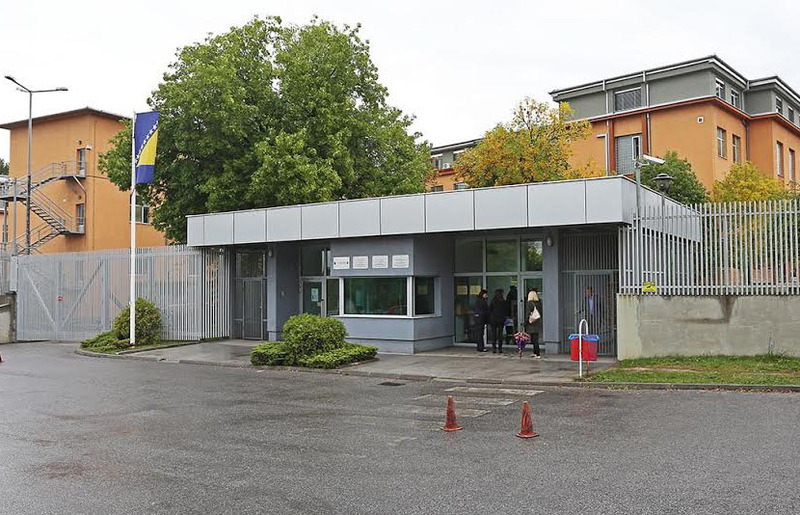 The Ministry of Justice of Republika Srpska would not approve visits to prisons in that part of the country, reasoning that inmates might lie and cause trouble from lawyers and bar chambers. Many who did talk to CIN reporters said the law is often not followed when it comes to appointing lawyers. “It’s an open secret that every court has its lawyer and its judge. Some are court-appointed 15 or 20 times, while others are just once,” said Bojan Nuk, sentenced to a year and a half before the Municipal Court in Travnik for illegal production and possession of narcotics. He is pleased with the work of his lawyer Bekir Ferizović, and he says that he picked him after a judge recommended him. Ferizović has gotten the most money of any lawyer in Middle-Bosnian Canton for serving as court-appointed representation, nearly 300,000 KM over seven years. Nearly half of that came for work in the Municipal Court in Travnik. He said no judges there favored him. “That does not happen. That’s ridiculous,” he said. The second most successful lawyer in this court, Vildana Đidić-Bradarić, earned four times less money. Marija Aničić-Zgonjanin, president of the County Court in Banja Luka, said abuses are possible. She has herself noted at her court that one judge keeps appointing the same lawyer, so she had him withdrawn from the phase in which he could appoint a lawyer. “The court recorders told me that he would point with his finger for the party in process – this one is good”, she explained, but she did not want to reveal who that was. 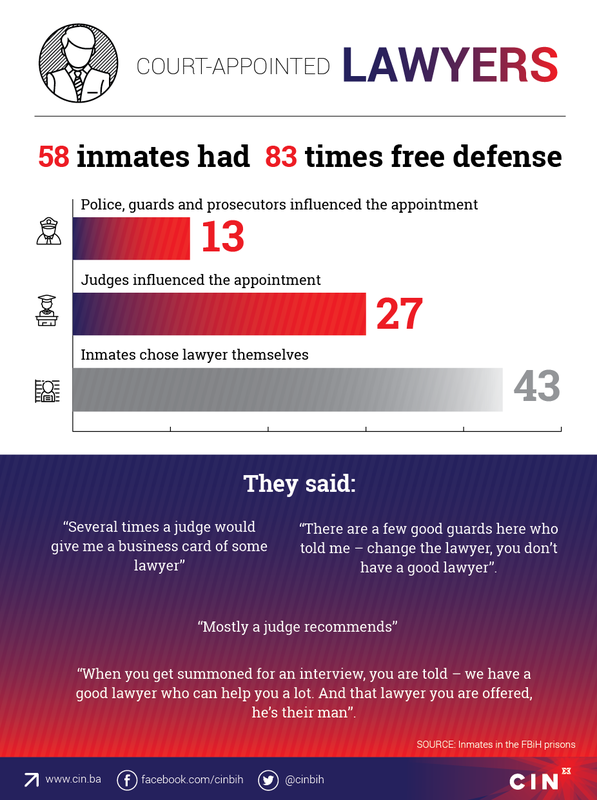 This court’s judges have picked out a lawyer in 30 cases, while a suspect chose just six times. Most of the judges with whom CIN reporters talked said that they did not favor any lawyer and that defendants who appear before them mostly know who they were going to select. However, the official records speak differently. 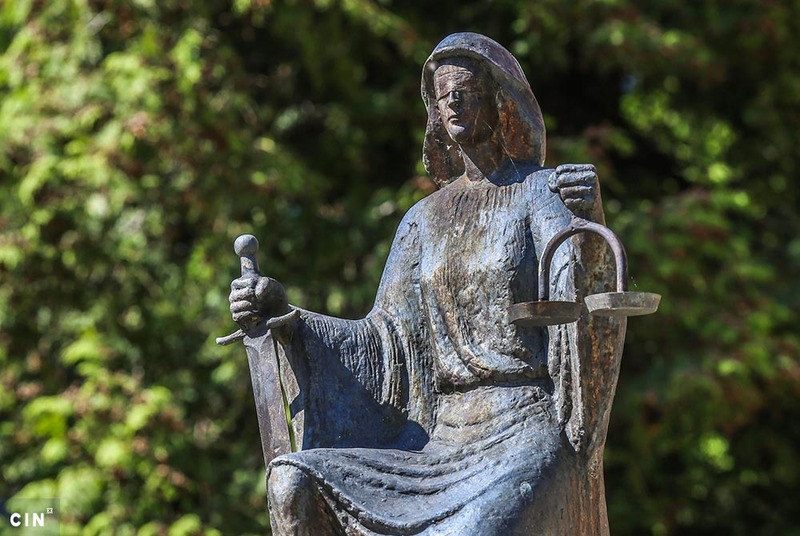 In 210 of 310 cases before the Municipal Court in Orašje, judges appointed lawyers to defendants. In 116 out of 150 cases before the Municipal Court in Bugojno, judges appointed lawyers. In more than half these cases, 82 times, judge Katica Soldo appointed lawyers. She said that she works with juvenile offenders to whom she appoints lawyers even before the case comes before the court, because the police or prosecutors get in touch with her during the investigation. Soldo said that at the first appearance at the court, juvenile offenders may change lawyers. The Municipal Court in Bugojno was the only one that refused to provide CIN with records about reimbursement paid to court-appointed lawyers. “Believe me, these are minimal fees,” said judge Soldo.